Guests will meet at the dock of Pirate Adventures Martha's Vineyard. 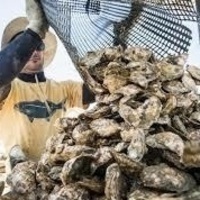 Once we set sail, have a bite, a libation, and we dive into a talk with biologist Rick Karney from the Martha's Vineyard Shellfish Group to hear what aquaculture is all about. At Cottage City Oyster farm, purveyors Dan and Greg Martino will introduce us to their nursery, upwellers and invite us to see the harvest process in action. Our adventure is topped off with a fabulous tasting and shucking demo of fresh oysters plucked right from the waters around you and a sunset sail around the Oak Bluffs harbor.